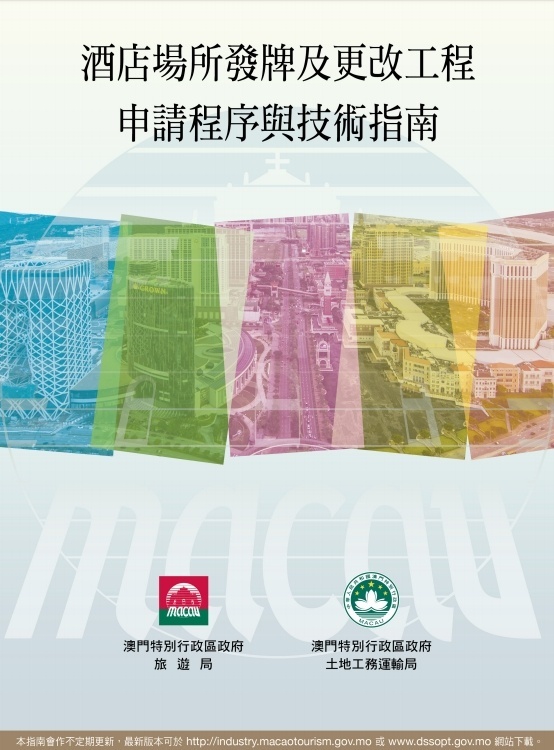 Macao Government Tourism Office (MGTO) launched the “Guidelines of Application Procedures and Technical Requirements for Licensing and Modification Works of Hotel Establishments” on 13 November. In addition to the pertinent guidelines for restaurants, bars, nightclubs, saunas and massage parlours, health clubs, karaoke lounges, travel agencies and tour guides as well as self-drive rent-a-car, the Office has provided in total nine sets of guidelines of application procedures and technical requirements for all the categories of MGTO-licensed establishments, to enhance convenience for applicants and familiarize travel trade operators with the stipulated requirements for application documents and design drawings. When industry operators submitted license applications for their establishments, the designs of their establishments oftentimes did not meet the stipulated requirements and their submitted projects were in need of amendments, which would delay the application procedures. To tackle such situations, MGTO has successively presented an array of guidelines of application procedures and technical requirements targeting different categories of establishments since 2015. The “Guidelines of Application Procedures and Technical Requirements for Licensing and Modification Works of Hotel Establishments” encompasses opinions from all the departments which participate in the licensing procedures, including the Land, Public Works and Transport Bureau, Fire Services Bureau, Health Bureau, Civic and Municipal Affairs Bureau, Environmental Protection Bureau, Labour Affairs Bureau, Sports Bureau and Cultural Affairs Bureau. MGTO also produced flowcharts of application procedures, application formalities and application forms for different license categories to familiarize industry operators with the respective application procedures, formalities and issues to pay attention to. MGTO also successively presented the Portuguese and English versions of the abovementioned guidelines, flowcharts and application formalities. The pertinent guidelines for restaurants, bars, nightclubs, saunas and massage parlours, health clubs, karaoke lounges, travel agencies and tour guides are available in Chinese, English and Portuguese, while the respective application forms are available in Chinese and Portuguese. 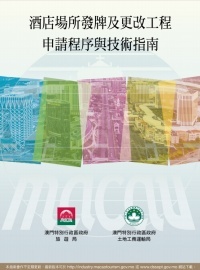 Visitors can obtain the aforementioned information from the Macao Tourism Industry Net: http://industry.macaotourism.gov.mo/en/index.php or MGTO’s service counter on the 18th floor of Hotline Building.